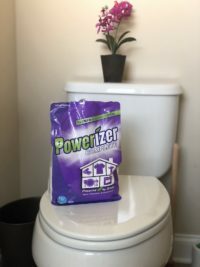 I received this product from Chewy.com in exchange for my honest review as a Chewy Influencer. 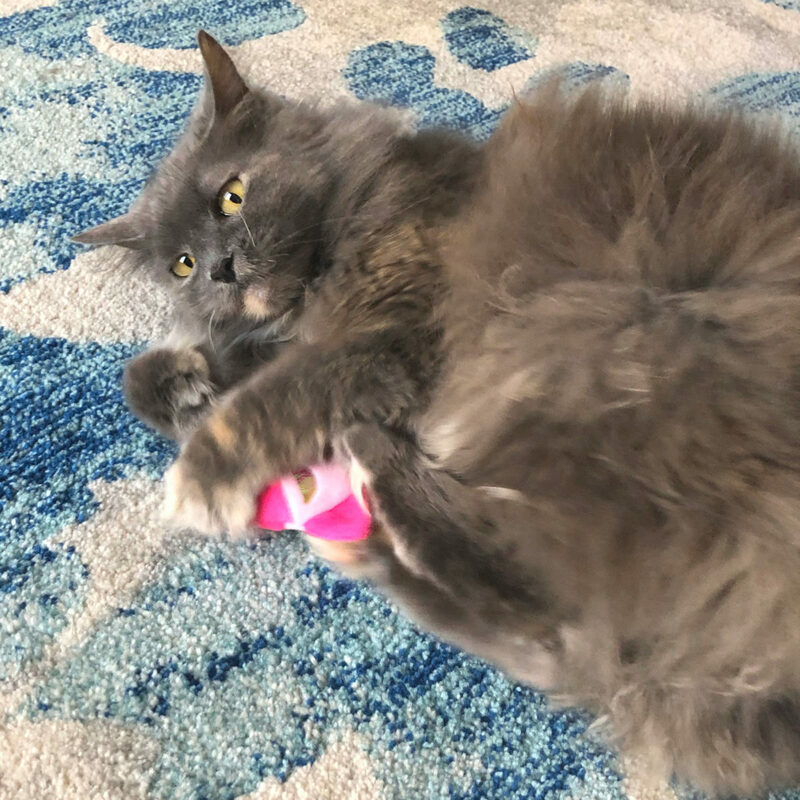 We have two cats that we adopted from a rescue group, and both of them enjoy small toys. Our cats are active and it is nice to offer them things to play with. 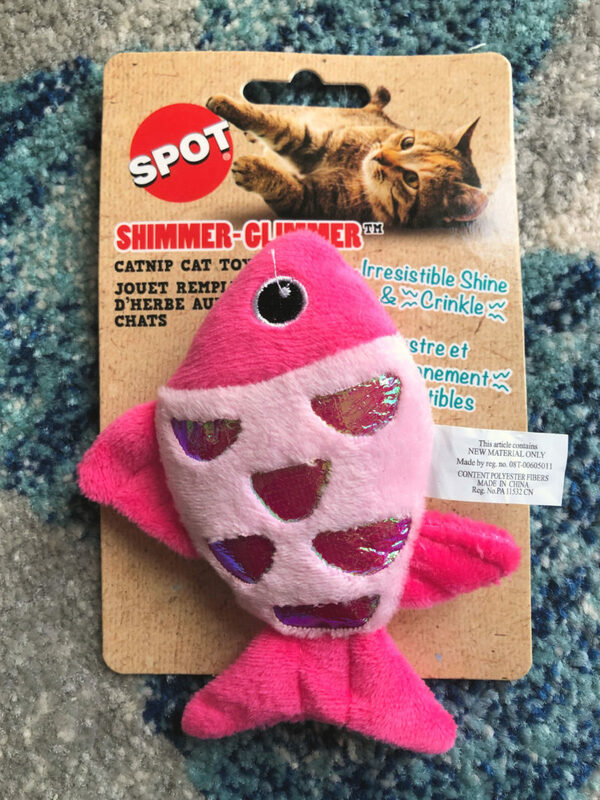 This Ethical Pet brand Shimmer Glimmer cat toy from Chewy.com caught my eye, as it looked to be the kind of toy the kitties would like. 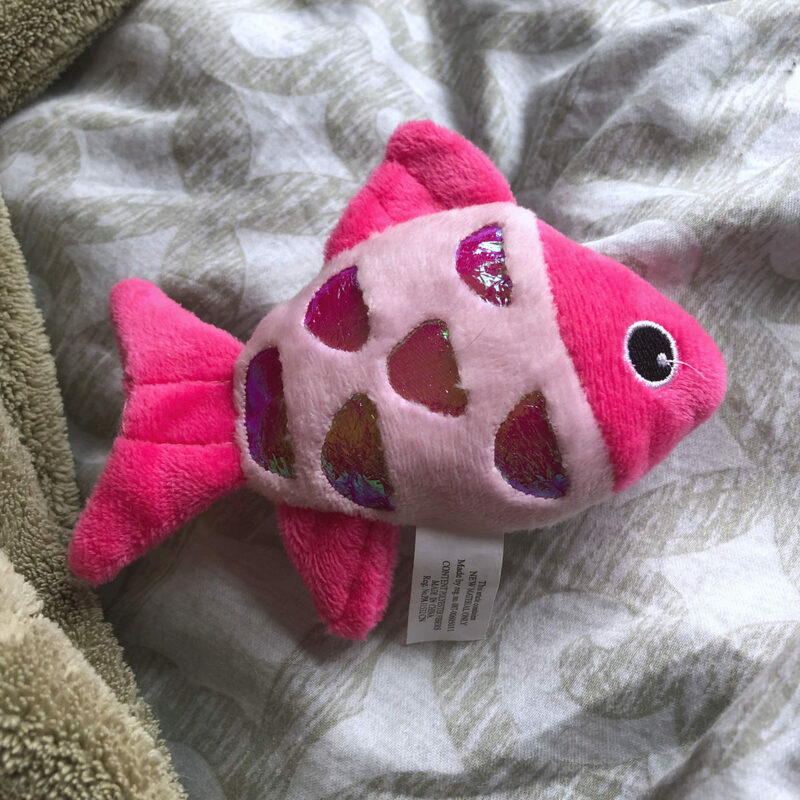 This Shimmer Glimmer fish is bright and cute, and has just the right balance of shine and crinkly material. It also has catnip to help entice your cat to play with it. Peggy took immediately to this toy. As you can probably tell from this picture, she loves to bunny-kick her toys! Our other cat, Jenny, likes to deliver her toys around the house. Since her favorite person in the house seems to be my older daughter, all of Jenny’s cat toys seem to all end up in her room and on her bed. Every morning, my daughter goes through a routine of throwing all the cat toys out of her room and then taking them back downstairs. Jenny usually carries her toys around the house, making “honking” noises. If you aren’t familiar with our adventures in rescuing these two cats, we were told that this cat had an odd “meow”, and she definitely does. Sometimes all you hear is a raspy sound, but when Jenny carries around a toy in her mouth, the best way to describe it is she squawks like a goose! Here’s Jenny with her catch of the day! 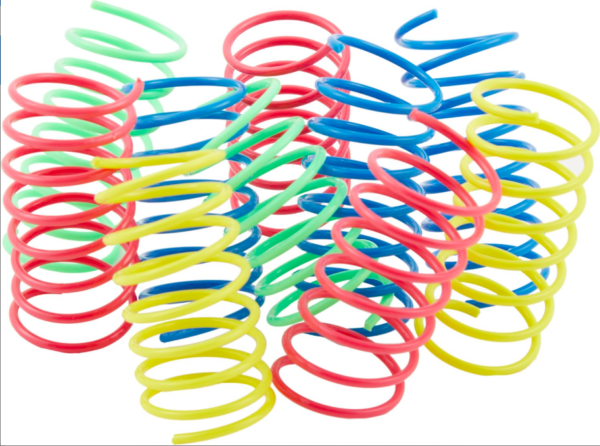 We hadn’t heard of the Ethical Pet brand before, although my friend has given us these colorful toy springs before (which I also recommend). 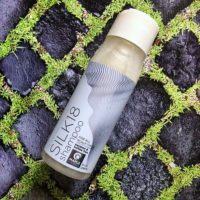 Check out this product and others at Chewy.com. We get all of our pet products delivered from Chewy, from cat litter to guinea pig food, and it’s nice to be able to shop from the comfort of home. 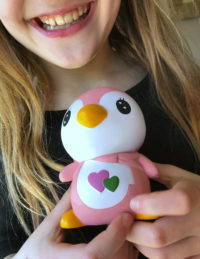 Love this toy from chewy, my cat will love it. Check out chewy for my cat. Loved this, my cat will love it. That is a really cute cat toy. My sister has four cats: I’m sure they would love this toy! What a really awesome toy for a cat. 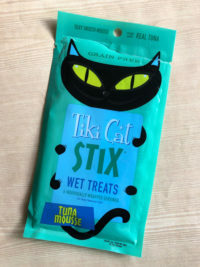 I love that it’s an ethical pet catnip chewy! My cat lover best friend (she has 5 amazing cats) will love this item! Hope there’s the possibility for shipments to Italy! 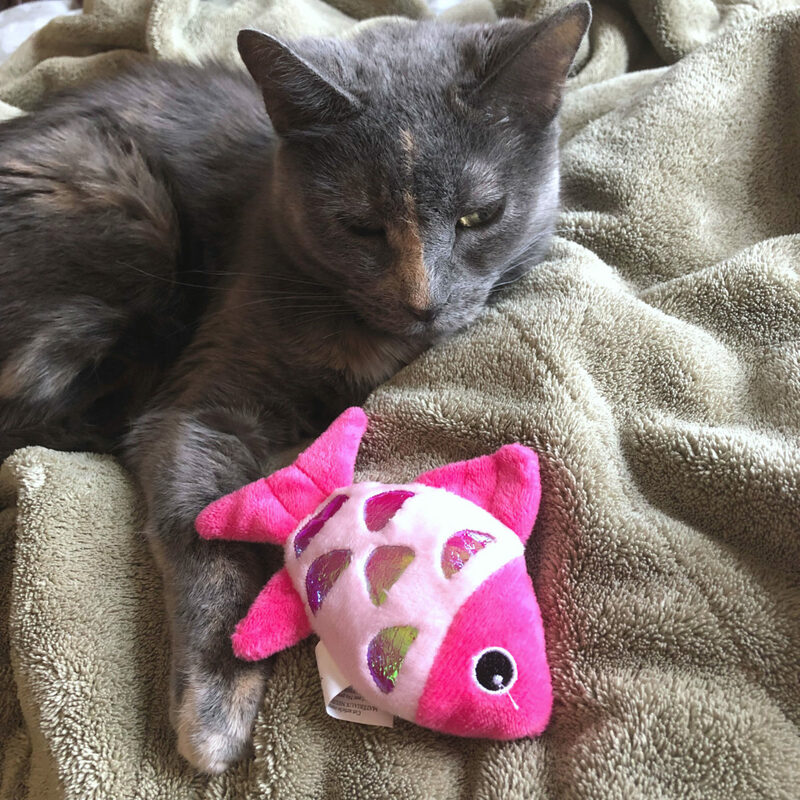 Never heard of this brand before, love the idea of the fish toy for cats! Very cool! I am sure my friend’s cat will love it! What an adorable toy. We have a cat who loves to kick things around. He might like this.